Sonar Mapping - Lake and Pond Solutions, Co.
Sonar mapping provides real solutions for maintaining a comprehensive and historical look at your lake or pond. Raw sonar data is uploaded to specialized software to produce bathymetric and relative sediment hardness maps. Mapping the lake or pond over time can help determine areas of change, rates of sedimentation, monitor success of dredging projects, provide accurate volume calculations, and aid in management decision making. Additionally, our sonar units have side-scan technology that captures underwater pictures of your lake or pond bottom. This can be helpful in finding fish cribs, rock out-croppings, weed beds and more. It is recommended that ponds be mapped every few years to identify any areas of change. Lakes should be mapped every 5 years to coincide with Aquatic Plant Management (APM) Plan updates. 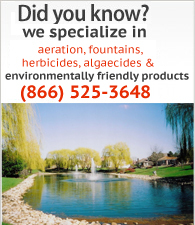 This is truly incredible technology that offers associations, districts, and individual pond owners valuable information at a reasonable price (ponds starting as low as $550 and lakes starting at $900). Please feel free to contact us for a custom quote.